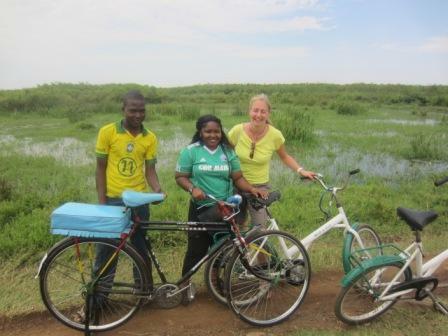 Karin Groot currently strengthens the Kenyan organisation Bikeventures in the further development of bicycle tours, rentals and cycling events. Karin has a background in marketing, and that is exactly what her contribution will be: marketing the activities of Bikeventures. Her work includes developing a tourist road map of the city, the development of the tours to Dunga, a city tour and a tour throug the rocky area just outside Kisumu. No Comments to "Karin Groot volunteer Bikeventures"